Please fill out the information below to have Rabbi Posner represent you in your acts of charity. 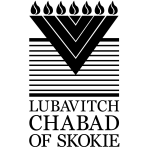 You can send checks to Lubavitch Chabad of Skokie, 4059 Dempster St. Skokie, Illinois 60076. Click here to donate to Lubavitch Chabad of Skokie.